Commemoration of the Holy Nine Children of Kola, Tao-Klarjeti. Today is what is known as a “soul day” in the Church, when people pray for the souls of their deceased relatives. Concurrently, it is a the commemoration of the martyrdom of nine children of Georgia’s Tao-Klarjeti region, now lying within Turkey’s borders, at the headwaters of the Mtkvari/Kura river. At the time of this incident, Christianity had already been the State religion in Iberia (Eastern Georgia) for over 200 years, but indigenous paganism and Iranian Zoroastrianism still persisted in the country in many areas. 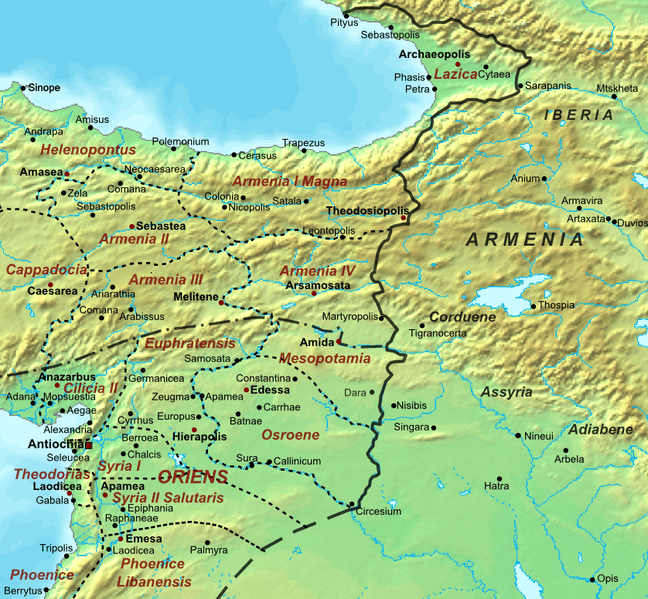 Colchis was incorporated into the Roman province of Lazika during the reign of Justinian in the 6th century, involving much of Georgia’s coastal regions, but the inland regions of Georgia’s west remained under the control of the Chosroid dynasty that ruled Iberia at the time, which alternated between vassalage of Constantinople and Persia in order to maintain autonomy. Kola (Gole in Turkish) is in Ardahan province of today’s Turkey and was seized from the Georgian Atabegs of Samtskhe by the Ottomans in 1561. It was conquered by the Russians in 1878 and remained within the Russian Empire until 1919, following which it was under Armenian occupation for a year until being handed over to Turkey by the Bolshiviks. Kola is around 100 kilometres southwest of Akhalkalaki in Georgia’s Samtskhe-Javakheti region. With great joy the youths promised the Christians that they would receive Holy Baptism. When the Christians of Kola related to their priest the good news of the pagan boys’ desire, he recalled the words of the Gospel: He that loves father or mother more than Me is not worthy of Me: and he that loves son or daughter more than Me is not worthy of Me. And he that takes not his cross, and follows after Me, is not worthy of Me. (Matt. 10:37–38). from “Lives of the Georgian Saints” by Archpriest Zacharaiah Machitadze, Saint Hermans Press, 2006. Following the commemoration of Saints George and Sava of Kakhuli, today we remember another saint of the same period and region, Saint Macarios, known as “The Faster” because of his ascetic zeal. He was known to have powers of prophecy and he attracted many people from all over Tao-Klarjeti as his spiritual children. “ In the second half of the 10th century King Davit Kuropalates constructed the Khakhuli Church in southern Georgia. He also founded Khakhuli Monastery, which in later centuries would become a center of spirituality, science, and education. Today this monastery is located on Turkish territory, but the grace of the ascetic labors of the fathers who labored there in the past pours forth hope upon the Georgian people to this day. Many holy and wonder-working fathers labored at Khakhuli Monastery, including St. Basil the son of King Bagrat III, the brothers George and Saba of Khakhuli, St. Hilarion of Tvali and many other God-fearing ascetics, whose righteousness and spiritual feats were guided by the holy abbot Macarios. Fr. Macarios was a great ascetic, teacher, and prophet. Novices and wise, experienced elders alike flocked to him for advice and blessings. The young monk George, later the great ascetic George of the Holy Mountain, was brought to St. Macarios to receive his blessing. St. Macarios called George his spiritual son. By the grace of God, St. Macarios reconciled his responsibilities as abbot of the monastery with the great spiritual labor of solitude. He earned the title “the Faster” for his exceptional ascesis in fasting and prayer. It is said that, as abbot of Khakhuli Monastery, “he shone like the morning sunrise and guided the spiritual activity and secular life of the entire Tao-Klarjeti region. St. Macarios reposed around the year 1034. 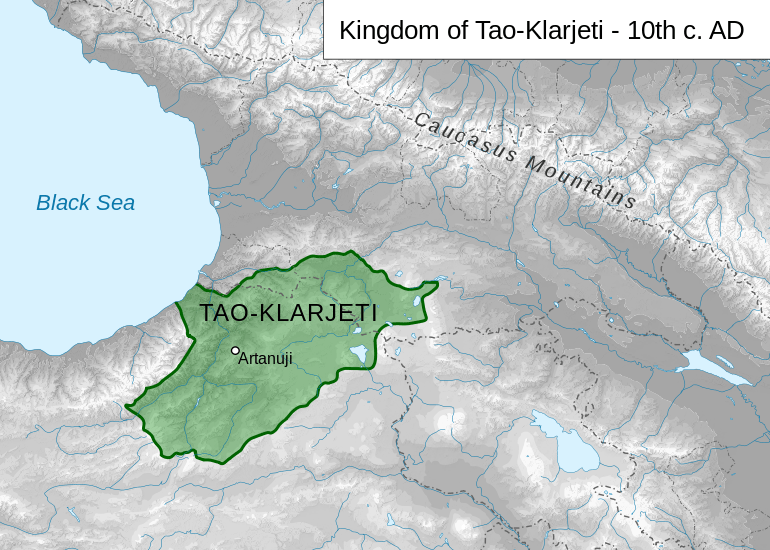 As the Georgian regions of Tao-Klarjeti and Lazeti were under Ottoman occupation for many centuries, and are now part of the Republic of Turkey, much of the religious heritage and folklore of these regions has been lost. Nonetheless, the Church commemorates the memory of the evangelists, saints and martyrs of these regions, even though the population has since been converted to Islam. Our Holy Father Grigol of Khandzta was raised in the court of the Kartlian ruler Nerse. His family was part of the Meskhetian aristocracy. He received an education befitting his family’s noble rank and displayed a special aptitude for the sciences and theology. While Grigol was still young, his loved ones expressed a wish to see him enter the priesthood. The wise youth had aspired to the spiritual life from early on, but he considered himself unprepared to bear such an enormous responsibility. “My pride prevents me from fulfilling your desire,” he told them. Finally he consented to be ordained a priest, but the local princes sought to consecrate him a bishop. Frightened at the prospect, Grigol secretly fled to southwestern Georgia with three like-minded companions: his cousin Saba (a future bishop and the reviver of Ishkhani Monastery), Theodore (the builder of Nedzvi [Akhaldaba] Monastery), and Christopher (the builder of the Dviri Monastery of St. Cyricus). The four brothers were unified by faith and love of God and bound by a single desire, as though they were one soul existing in four bodies. 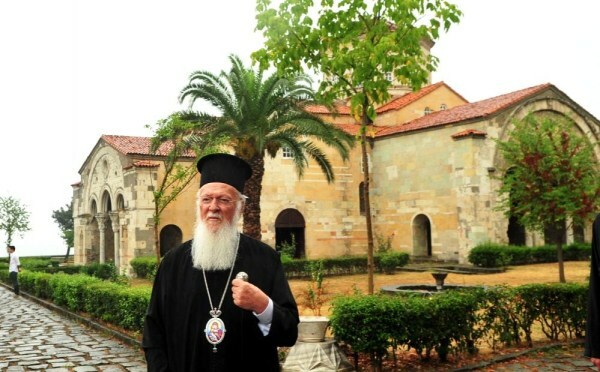 The brothers arrived at the Monastery of St. John the Baptist in Opiza and presented themselves before the abbot Giorgi. With his blessing they labored there for two years. Then St. Grigol visited the monk Khvedios, the righteous hermit of Khandzta. Prior to Grigol’s arrival, Khvedios had received a sign from God indicating that a monastery would be built in Khandzta by the hands of the priest Grigol. It was revealed to him that Fr. Grigol’s prayers were so holy that their sweet-smelling fragrance rose up before God like incense. The monk showed St. Grigol the environs, and he was so drawn to this area that he soon returned there with the other brothers and began to build a monastery. A certain aristocrat by the name of Gabriel Dapanchuli lived nearby, and Grigol turned to him for help with construction of the monastery. With great joy he donated the stone, labor and food necessary for this worthy project to be realized. In such a way the first monastery church in Khandzta was established. Gabriel informed Holy King Ashot Kuropalates about the brothers’ activity, and the king invited their leader, St. Grigol, to the palace. There he received him with great honor, asked him to bless the royal family, and inquired in detail about the life and labors of the holy monks. Then he presented Grigol with a generous donation to the monastery and, having learned that the land in Khandzta could not be cultivated, bestowed upon the monastery a large plot of fertile land in Shatberdi. King Ashot’s sons, the princes Adarnerse, Bagrat, and Guaram, also donated generously to the monastery. So, during the bloody Arab-Muslim period of rule, when the Georgian people had sunk into deep despair, the Klarjeti Wilderness was transformed into a life-giving oasis to which the greatest sons of the nation flocked. St. Grigol was known throughout all of Georgia. At the request of King Demetre II of Abkhazeti (837–872), Fr. Grigol built a monastery in the village of Ubisi in Imereti and appointed his disciple Ilarion of Jerusalem as abbot. He built this monastery on the border of western and eastern Georgia and in so doing foresaw the unification of the two kingdoms. The Lord performed many miracles through St. Grigoly. Once the church bell-ringer was approaching the abbot’s cell and saw a light issuing forth from inside. He knew that St. Grigol had lit neither a fire nor his oil lamp, and he became frightened, believing that a fire might have started in the abbot’s cell. As it turned out, others had witnessed similar wonders: when the saint stood praying, he would light up like the sun, and beams of light would emanate from his body in the shape of a cross. Venerable Grigol stood firmly in defense of morality, and he even confronted King Ashot Kuropalates when his conduct was at odds with the values of the Georgian people. Grigol had united his companions in their love of God, but among the roses there appeared a thorn. A certain Tskir, a protege of the Tbilisi emir Sahak, schemed to obtain the episocopal see of Anchi. He forcibly took control of Anchi Cathedral and committed many blasphemies. The clergy, and venerable Grigol in particular, condemned his behavior, but Tskir was consumed by pride and hired a killer to eliminate St. Grigol. Like a prophet, St. Grigol foresaw the imminent danger but went out to meet it nevertheless. Approaching his victim, while still at a distance from him, the murderer saw a bright light enveloping the holy father. He froze in fear, and his hand immediately withered. Only the prayers of St. Grigol could heal him and permit him to return home. Near the end of his life St. Grigol spent most of his time at Shatberdi Monastery, which he himself had built. When he received a sign that his death was approaching, he distributed candles throughout all the monasteries in the Klarjeti Wilderness and requested that they be burned on the day of his death. He asked all to remember him and bade farewell to Khandzta. Abounding in blessings and perfect in wisdom, justly ruling the inhabitants of the wilderness, St. Grigol of Khandzta reposed on October 5, 861, at the age of 102. In accordance with his will, he was buried among his brothers at Khandzta Monastery.